Directed by John Curran and written by Taylor Allen and Andrew Logan, "Chappaquiddick" hit tehaters on April 1 and received 77 percent on Rotten Tomatoes. The date is July 18, 1969. Senator Edward “Ted” Kennedy is speeding down the moonlit road on Chappaquiddick Island. In the passenger seat is 28-year-old Mary Jo Kopechne, who was a presidential campaign secretary for Robert Kennedy. After a few missed turns, the car eventually meets the infamous narrow bridge that connects the chain of islands. Ted doesn’t react in time, and the car skids over the bridge and flips over into the water. A few minutes go by and Ted is back on land, but Mary Jo is still trapped underwater. This is the real-life incident that is explored in the new film “Chappaquiddick.” In addition to showing the incident, the story tells of the immediate actions taken by Ted and his aides to cover up and save his political career. “Chappaquiddick” is directed by John Curran, whose most notable previous work is “The Painted Veil” back in 2006. Curran doesn’t dance around with the material and instead decides to give the facts in a straightforward manner. We frantically go from one event to another, watching and listening to every piece of information as it is given to us in a workmanlike routine. Curran does well at positioning the camera to create a film that is more focused on characters than events. He uses a mixture of close-up and tracking shots to keep us focused on the main players. A specific highlight comes when he expertly cuts between close-up shots of Mary Jo drowning and Ted lying in bed later that night. It’s a haunting sequence to watch as the different outcomes of the two characters are compared simultaneously. Unfortunately, Curran’s matter-of-fact storytelling style also weighs the film down and limits its potential. Having the narrative move quickly never really gives the characters enough time to open up and develop. It also never gives the audience enough time to reflect on what has just happened. Just like the directing, the script also both helps and hurts the overall quality of the film. Coming from first-time writers Taylor Allen and Andrew Logan, the screenplay is very focused on delivering the facts in the most efficient and simplified way possible. This helps the audience connect every dot, as we always know what is going on and who is involved. The writing also shows every character as their true self and not as glorified pieces of history. For instance, instead of portraying Ted as a tragic figure, the writing shows him as the man everyone knew him as — someone that will do anything to protect his name and career. The part where the script fails to deliver is the pacing and overall emotional weight. Allen and Logan’s need to deliver every possible fact quickly proves tiring and overloads the already cramped 101-minute runtime. There is also never an engaging hook or overall emotional theme — just a fact-based story being told in a flat tone. By the end, the film feels very average, as everything is wrapped up in an unoriginal fashion. The performances in this film are the main attraction, which seems fitting considering both the directing and script put a large amount of emphasis on the characters. 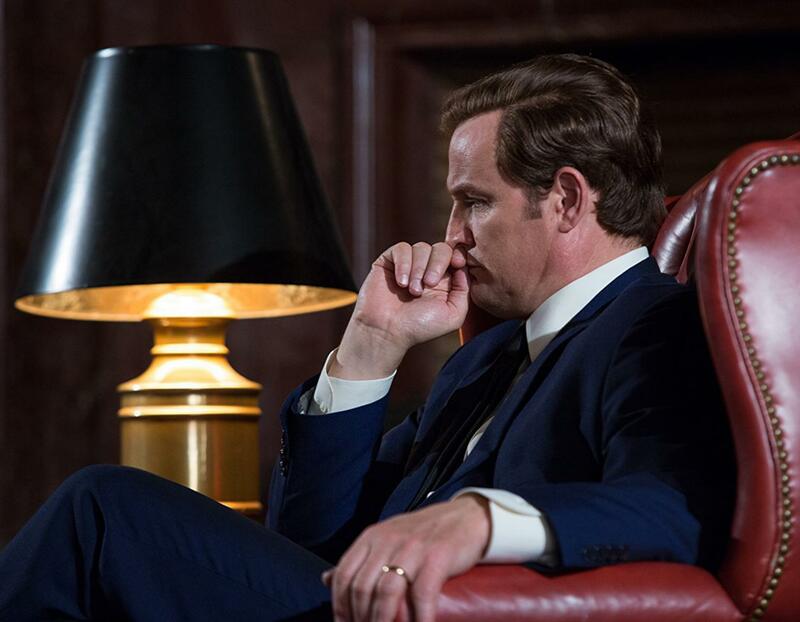 Jason Clarke does a great job as Ted Kennedy. Clarke perfects both the Kennedy voice and physical mannerisms. He also brings a large amount of insecurity as his character hopelessly tries to live up to the legends of his three deceased older brothers. Ed Helms, in a role completely cast against type, pleasantly surprises as Ted’s assistant and cousin, Joe Gargan, who was also involved in the incident. Helms acts as a vessel for the audience as he reacts to Ted’s actions with bewilderment. Bruce Dern is probably the most memorable part of the film, even though he speaks less than ten words. He plays John Kennedy Sr., who is confined to a wheelchair and unable to speak due to a stroke. Dern’s veteran skills allow him to overcome his character’s physical limitations and deliver a performance that is chilling to watch as he bullies Ted into following his every order. Finally, Kate Mara does well as Mary Jo Kopechne. While she doesn’t get enough time to stand out, Mara brings a strong amount of emotional depth to her doomed character. While the actors all give admirable performances, the so-so directing and middling script restrict this film from reaching its true potential. Overall, “Chappaquiddick” is a very conventional drama that is serviceable enough for those who are interested in what happened that fateful — and fatal — day in 1969. Wonderful Piece. Love the new film critic.